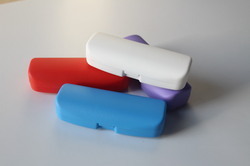 Our product range includes a wide range of colorful spectacles case, dark brown spectacle case, i-see-107 spectacle case, peach spectacle case, sky blue spectacle case and transparent pp spectacle case. 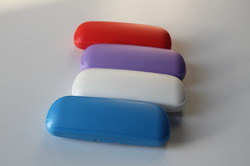 Made available by us is a pristine conglomerate of Colorful Spectacles Case, which is designed using premium grade raw material. 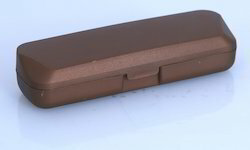 Made available by us is a pristine conglomerate of Dark Brown Spectacle Case, which is designed using premium grade raw material. 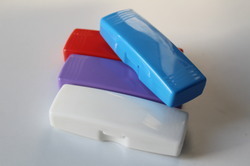 We do various designed case manufacturers We are bulk manufacturers in All type of Spectacle Case and we accept orders only above 500+ Pieces. 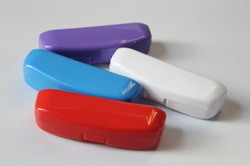 We are offering Spectacle Case i-see-107 to our client. 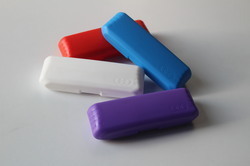 Being a prestigious business organization, we are recognized as a reputed manufacturer and exporter of Peach Spectacle Case. 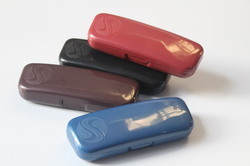 We are bulk manufacturers in All type of optical cases and we accept orders only above 500+ Pieces.We are offering Sky Blue Spectacle Case i-see-103 to our client. 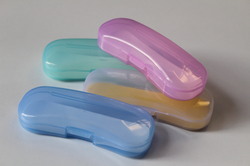 We are offering Transparent PP Spectacle Case i-see-101 to our client. 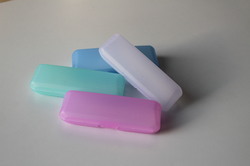 We are bulk manufacturers in All type of optical cases and we accept orders only above 500+ Pieces.We are offering Plastic Pink Spectacle Case to our client. 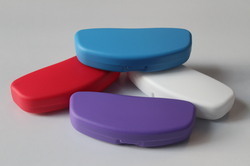 We are bulk manufacturers in All type of optical cases and we accept orders only above 500+ Pieces.We are the manufacturer of Spectacle Case i-See- 222 in bulk quantity. 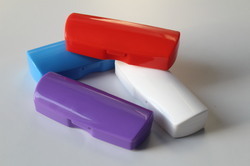 We are bulk manufacturers in All type of optical cases and we accept orders only above 500+ Pieces.We are offering PP Spectacle Case i-see-114 to our client. 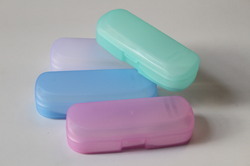 Made available by us is a pristine conglomerate of Spectacle Cases, which is designed using premium grade raw material. 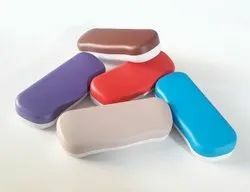 We are bulk manufacturers in All type of optical cases and we accept orders only above 500+ Pieces.We are One of the prominent manufacturers and suppliers of Spectacle Box in bulk quantity. 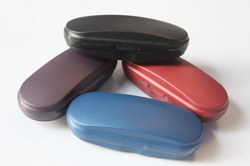 We are bulk manufacturers in All type of optical cases and we accept orders only above 500+ Pieces.We are offering Hard Eyeglass Case to our client. 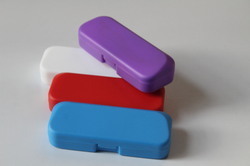 We are bulk manufacturers in All type of optical cases and we accept orders only above 500+ Pieces.We are offering Blue Spectacle Case i-see-102 to our client. 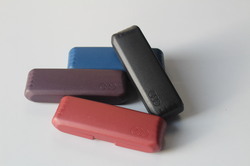 Made available by us is a pristine conglomerate of Plastic Brown Spectacle Case, which is designed using premium grade raw material. 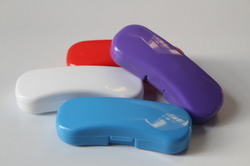 We are bulk manufacturers in All type of optical cases and we accept orders only above 500+ Pieces.We are offering Transparent Spectacle Case i-see-114 to our client. 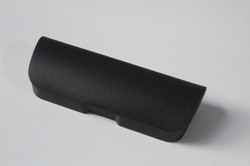 Made available by us is a pristine conglomerate of Black Spectacle Case, which is designed using premium grade raw material. 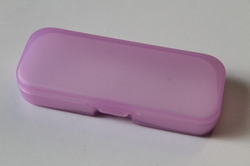 Made available by us is a pristine conglomerate of Simple Designer Spectacles Case, which is designed using premium grade raw material. 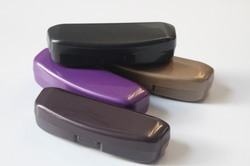 We are bulk manufacturers in All type of optical cases and we accept orders only above 500+ Pieces.We are offering Purple Spectacle Case to our client. 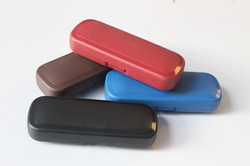 We are bulk manufacturers in All type of optical cases and we accept orders only above 500+ Pieces.We are offering Latest Spectacle Case to our client. 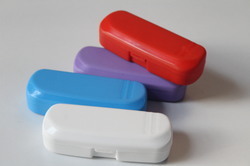 We are bulk manufacturers in All type of optical cases and we accept orders only above 500+ Pieces.We are offering Off White Spectacle Cases i-see-112 to our client. 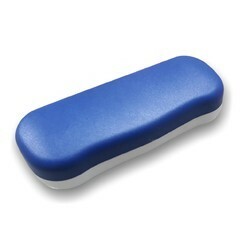 Made available by us is a pristine conglomerate of Plastic Blue Spectacle Case, which is designed using premium grade raw material. 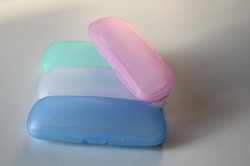 We are bulk manufacturers in All type of optical cases and we accept orders only above 500+ Pieces.We are offering Pink Spectacle Case to our client. 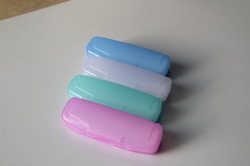 We are bulk manufacturers Multi color Spectacle Case i-see-112 to our client. 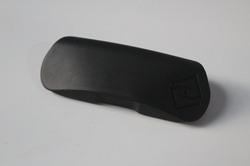 Made available by us is a pristine conglomerate of Spectacles Case, which is designed using premium grade raw material. 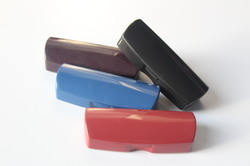 We are bulk manufacturers in Hard Spectacles Case and we accept orders only above 500+ Pieces. 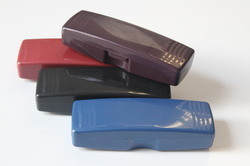 Made available by us is a pristine conglomerate of Optical frame cases, which is designed using premium grade raw material. 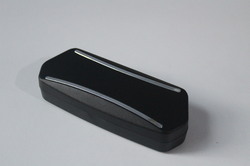 We are offering Simple Design Spectacle Case i-see-113 to our client. 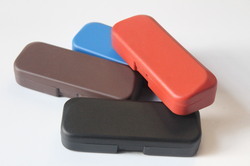 We are bulk manufacturers in All type of optical cases and we accept orders only above 500+ Pieces.We are offering Plastic Spectacle Case to our client. 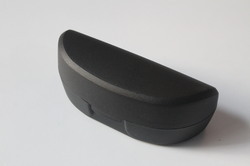 Made available by us is a pristine conglomerate of Eyeglass Case, which is designed using premium grade raw material. 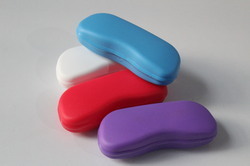 We are offering Spectacle cases to our client and our product is made of good quality. 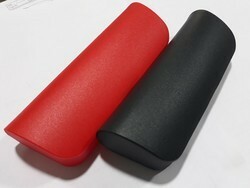 We offer high-quality Hard Spectacles Case.